Much has been published on the topic of plant hunting, and almost all of it is about the plant hunters of the so-called ‘golden age’ that ended with the death of Frank Kingdon Ward in 1958. One might be forgiven for thinking that plant hunting itself came to an end in 1958 – but nothing could be further from the truth. On the contrary, there have been more new plant introductions in the past thirty years than ever before. 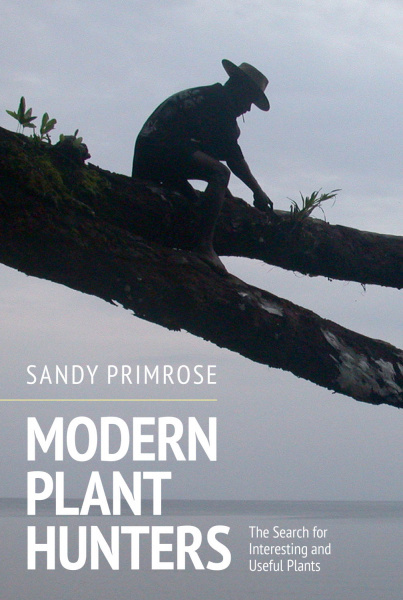 This book tells the stories of the modern-day plant hunters – such pioneering adventurers as Mikinori Ogisu, Dan Hinkley, Ed de Vogel, Lin Yu-Lin, Bill Terry and Claire Scobie. The author examines the search for medicinal plants and the work of scientific institutions, both of which have been largely ignored and considers such developments as the effect of habitat destruction on plant loss and plant diversity. Dr Sandy Primrose MBE PhD has spent his professional life as a biologist, initially in academia and then as a senior manager in pharmaceutical, diagnostic and life science companies. He has also worked with various government departments on topics such as the detection of food fraud and the safety of genetically engineered foods. He now works as a consultant helping early-stage companies in the healthcare field. Sandy is a keen gardener and lectures extensively on plants, horticulture and gardening. He is passionate about teaching and tries to be both entertaining and educational. He lives in Buckinghamshire.